Attention please disco lovers. Wooohooo… The first Funkyard of 2019! It’s a classic. Let’s boogie all night long… With the afro disco & boogie winterspecial. 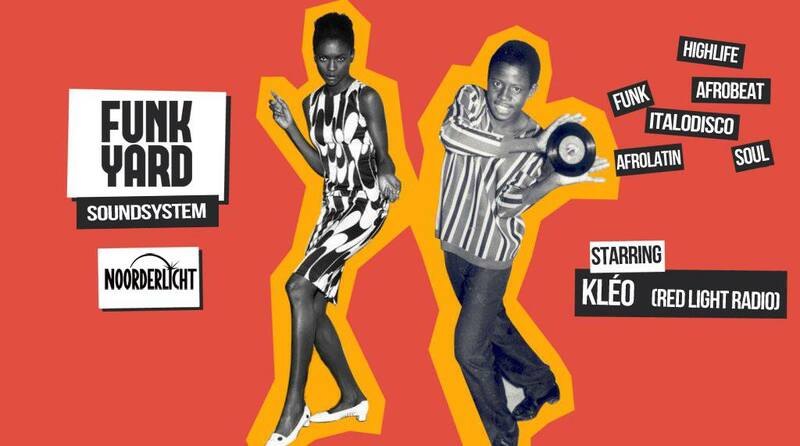 The Funkyard Soundsystem family will be playing they’re most funked-up, groove laden and infectious records during this winter special at the ever so cosy Noorderlicht Café venue on the NDSM island. Special guest Kléo, regularly gracing the decks at the infamous Dekmantel events and making her eagerly awaited Funkyard debut will be on closing duties. So.. don’t sleep on it & come get some! All that is good is nasty!